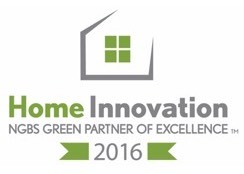 Dondi Atwell with ATS Engineers, Inspectors & Surveyors has been named a Home Innovation NGBS Green Partner of Excellence for 2016. NGBS Green, which is based on the National Green Building Standard™ (NGBS), has certified more homes than any other national green home certification program thanks in large part to its knowledgeable in-field verifiers. Being one of an elite group of Home Innovation’s green certification program partners to be recognized validates the commitment Dondi and ATS have made to providing customers with increased value, professionalism, and relevance in the marketplace through third-party verification to the NGBS. As an accredited NGBS Green Verifier, Dondi and ATS have provided independent verification services for over 5,000 units that ultimately became NGBS Green Certified by Home Innovation Research Labs. NGBS Green Verifiers are trained, tested, and accredited by Home Innovation to ensure consistency and rigor across the country for NGBS Green Certifications across the country.